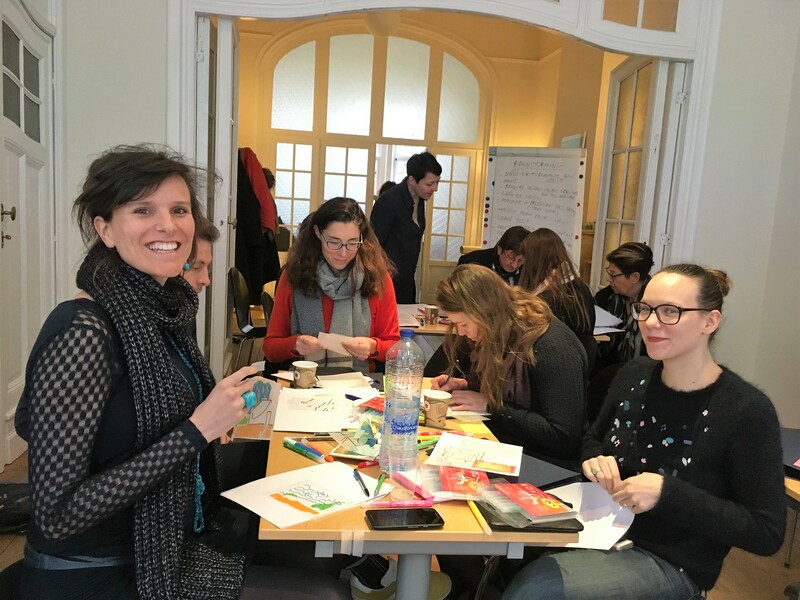 A “Creativity and Specific Problem Solving” workshop for lawyers and mediators to explore creativity tools in the context of conflict management. 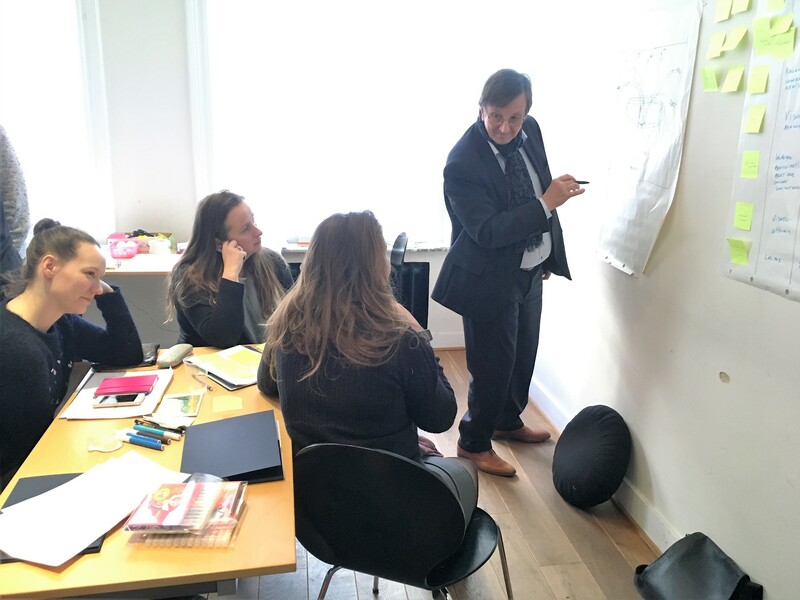 A one day long seminar based around the use of creativity in the area of mediation. 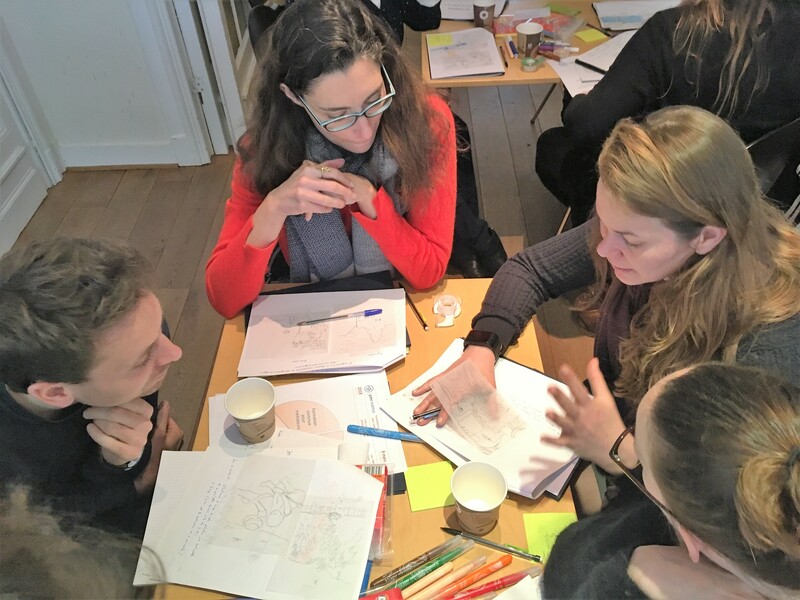 Participants learned about the process of creative thinking and experimented with various creative visualization tools. 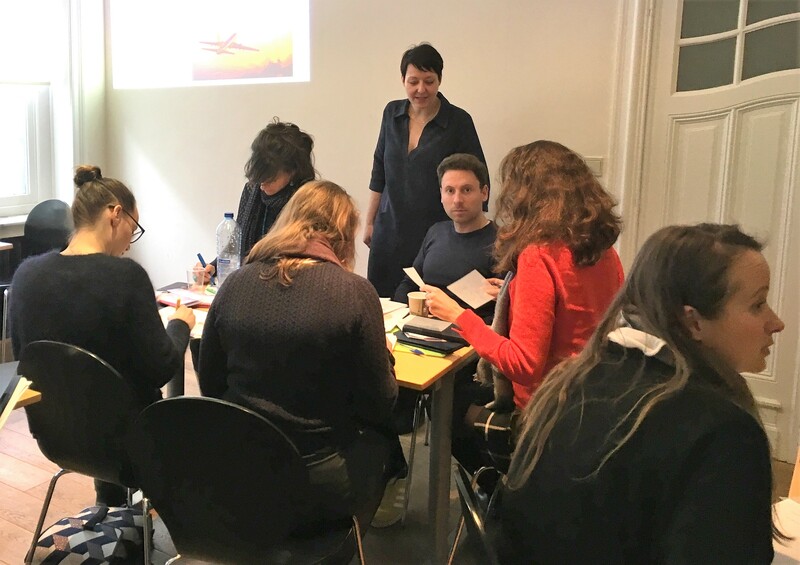 They exercised their own creativity and understood the power of images and visual communication in the context of their professional practice. 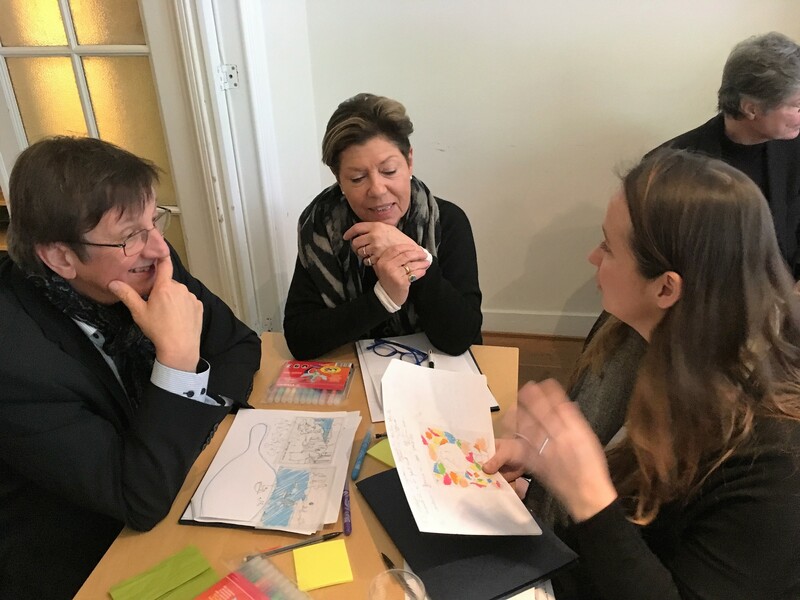 Participants learned to visualize and translate a specific problem using non-verbal communication means such as images, drawings, colours and textures. They brainstormed individually and in groups to create innovative problem solving tools to use in the context of conflict resolution. Each group presented their new tool to the group. 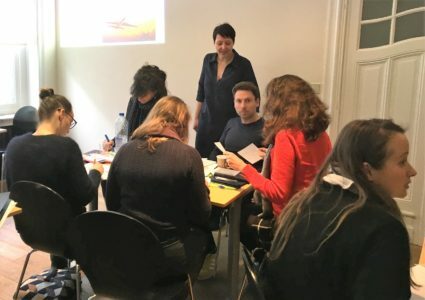 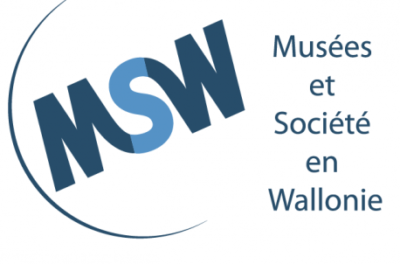 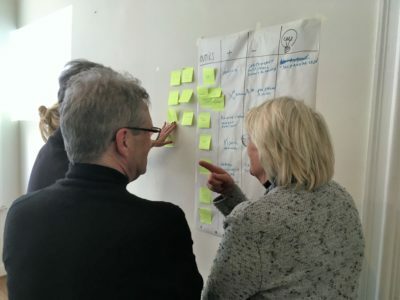 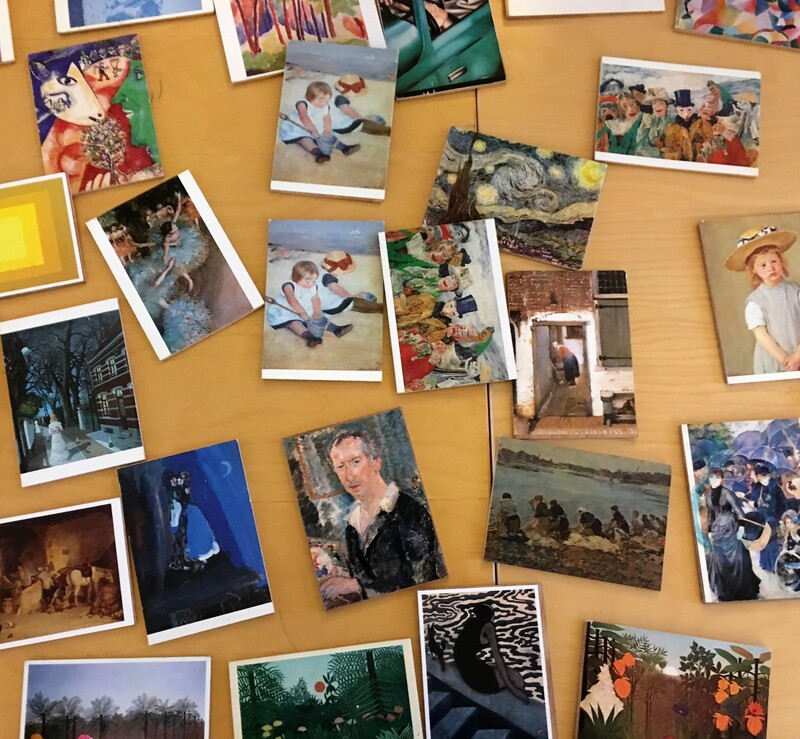 (English) A “Creativity and Real Problem Solving” workshop for the museums of Wallonia representatives (60 participants) to share museums best practices and develop new projects and solutions for specific problems.